Broom Fisheries Sunday Open 21st October. 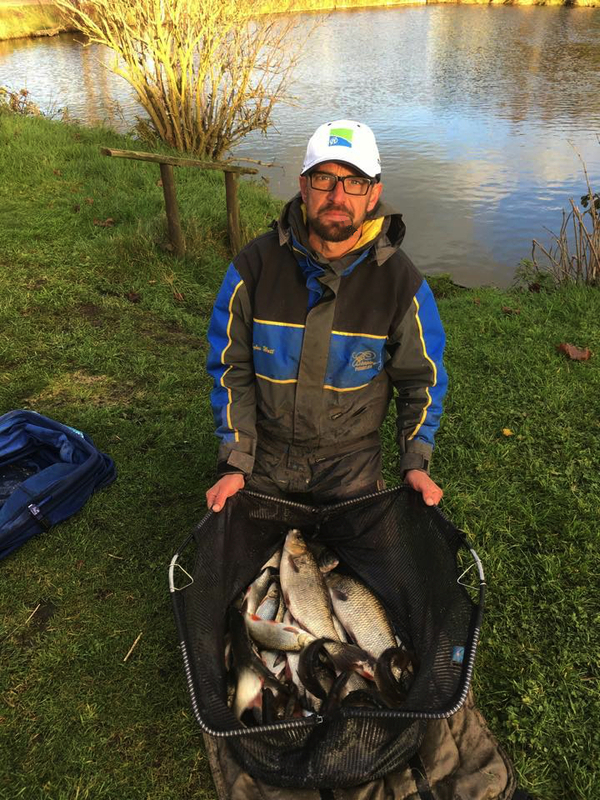 8 anglers turned up today to fish the open. So kept it friendly and had 2 sections of four. Most anglers set up the tip as the main attack for the day due to the wind. However as soon as the all in was shouted the wind dropped dramatically. There was the odd shower throughout the day, but all in all, a really pleasant day to be out. I won section 1 on the end peg culvert flier as John Williamson called it, everyone else knows it as peg 20. I fished on open-ended feeder all day with groundbait and maggots for a mixed bag weighing 33lb 4oz. 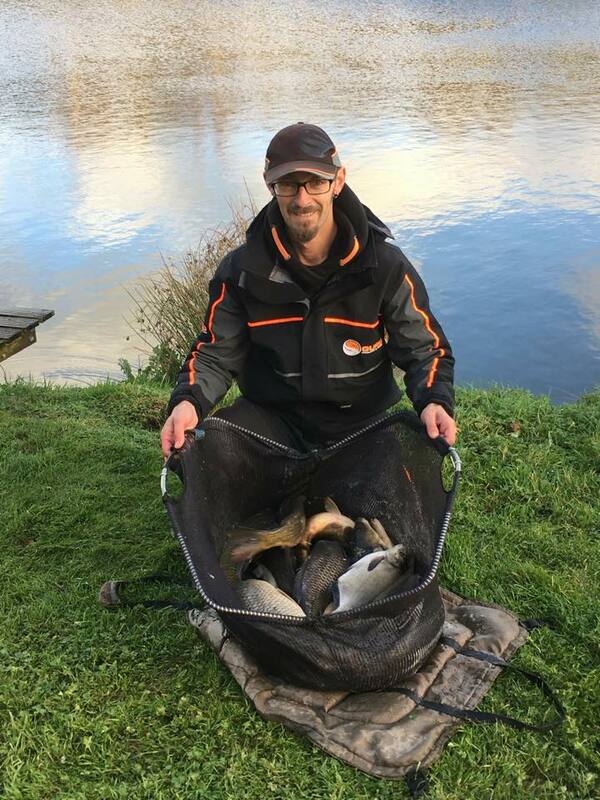 Second in the section was John Williamson with 20lb 12oz from peg 21, mostly caught on the bomb, he did have a few chucks on the pellet waggler, fish were happy to take the loose feed but not the hook bait. 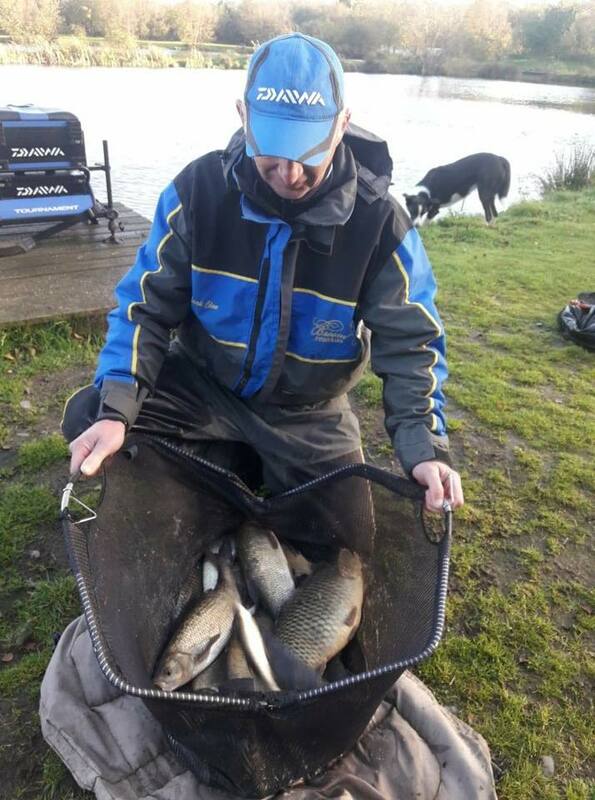 Section 2 was won with a fantastic mixed bag weighing 58lb 4oz caught from peg 26 by Simon Heyes. Who was proudly showing off his new box. Simon caught mostly on the bomb switching between pellet and bread. Second in the section from peg 25 was Don Lines who weighed in 47lb 4oz switching between the pole and feeder. 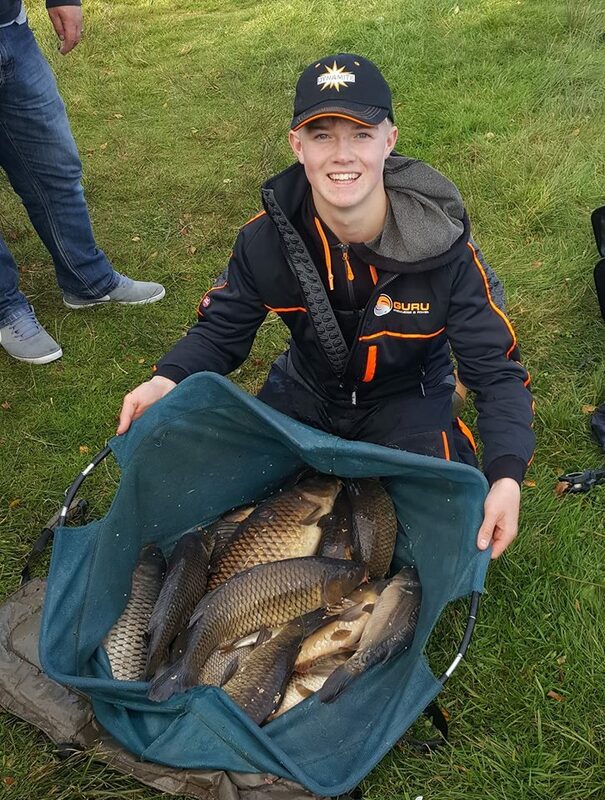 Myles Watt had a fantastic net of silvers caught in the last 2 hours on the pole for 26lb 4oz from peg 28. Great laugh today and some good weights. Open again next week please visit main Broom website to register. High pressure this week so should be a good match next Sunday.